The town, port and tourist centre of the Makarska Riviera lies between Biokovo Mountain, protected as a nature park, and the sea, among the cleanest in the entire Mediterranean. This area can boast of having long, splendid beaches, pine trees and olive groves. 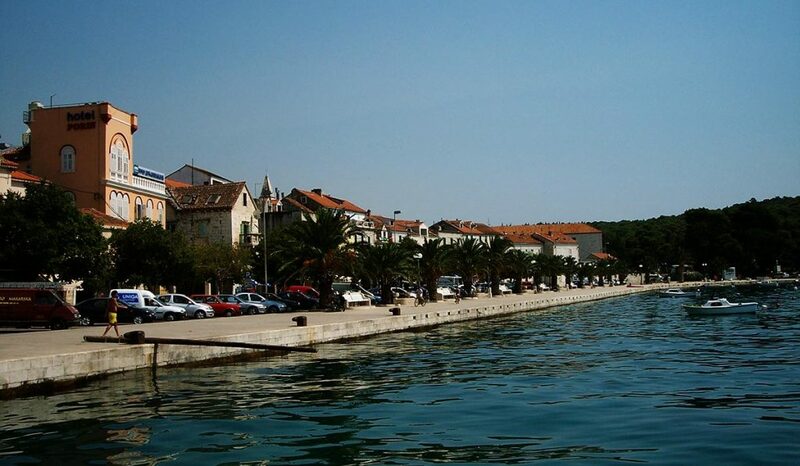 Interesting cultural and historic monuments, an extensive selection of hotels and restaurants, as well as wide sports and recreational offers are part of Makarska’s attraction. Recreational and health tourism has also developed. 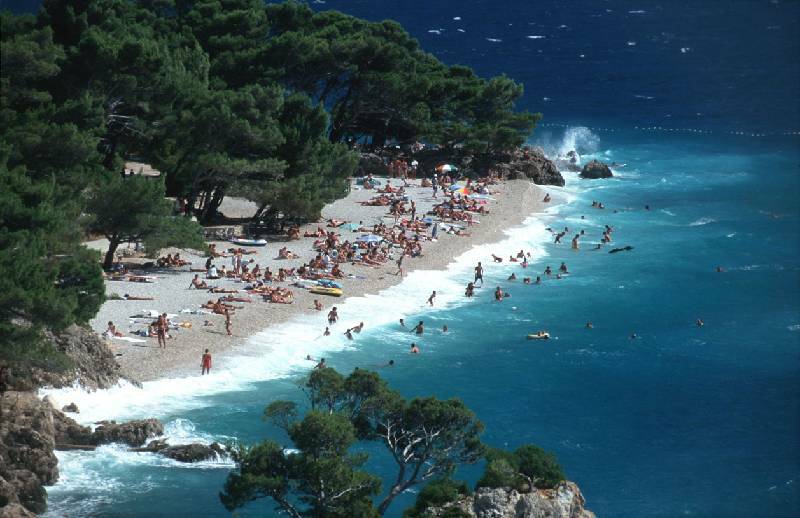 Tourism has been a part of Makarska’s economy since 1914 when the first hotel was built. The economy is based on agriculture, wine, olive and fruit growing, production of food and plastic, maritime activities, fishing and tourism. The area has a Mediterranean climate with strong ‘bura’ winds in winter. A windy day on the beach in Brela, a small village in Makarska Riviera, south of Split. This six km long pebble beach features pine trees that are forming a nice shade on numerous spots. A particularly interesting part of the cultural and historic heritage is the Malacological Museum in the Franciscan Monastery housing a unique collection from the Adriatic and other seas. The monastery dates back to 1400, was renovated in 1540 and took today’s shape with a cloister in 1614. In the vicinity of the famous beach in Makarska, you will find a tennis centre with ten clay courts, one colour set court, as well as two indoor, clay tennis courts with lights. The health facilities Biokovka offer various therapeutic services. Makarska’s offer includes various diving clubs, congress centres, bike riding and nudism, therefore, everyone will find something to suit their taste. Those who are looking for a challenge and are in better physical shape can go for a hike on the many mountain trails up to the top of Biokovo Mountain. The trails offer fresh air, splendid views and tranquillity. The traditional Makarska Cultural Summer takes place in July and August and includes an extensive drama and concert program, performances by men’s choirs (klapa), exhibitions, poetry evenings and folklore performances. Also part of this event is Fishermen Evening and Kalelarga Evening.